Mortise and tenon joinery has been around since at least Stonehenge (2600-2400 B.C.) in Europe and long before that in Asia. Mortises and tenons were once the dominant form of construction, used by woodworkers around the world to join wood, stone and metal of all sizes. Most buildings, ships, furniture and stone monuments were built with mortise and tenon joints until the mass production of nails in the 19th century made stick framing more efficient and modern steel construction developed. Today, mortises and tenons are used primarily in artisan timberwork, fine furniture making and historic restoration. 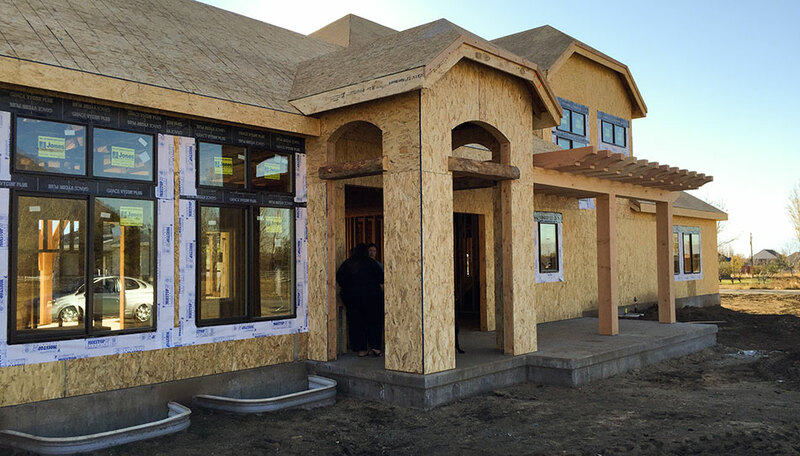 It is relatively uncommon for homes to be built entirely with mortise-and-timber frames and they are prohibitively expensive for most home owners. 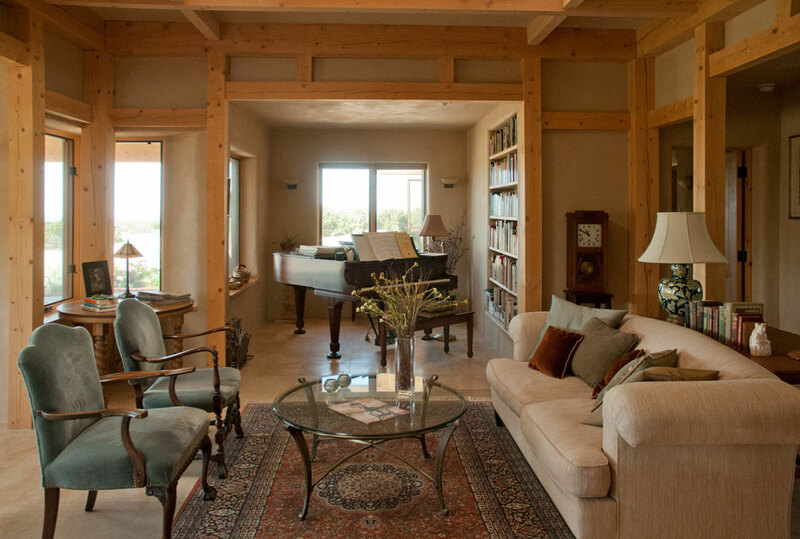 We originally priced timber frame homes and found that The Thoughtful House would cost us roughly twice its price if we opted for timber framing on the entire building. 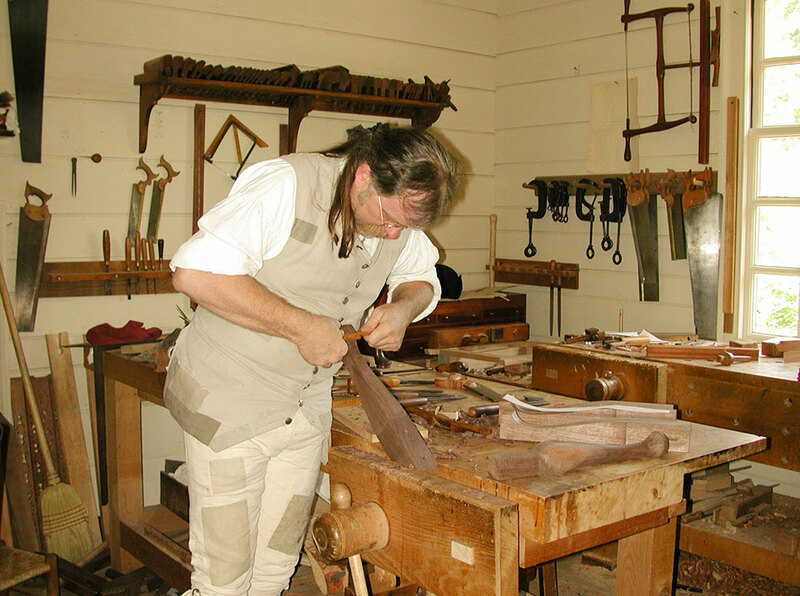 Mortises and tenons traditionally were used to connecting sections of a structure, mostly at 90-degree angle, but also for other purposes such as the curved braces on the column above. Mortises and tenons are structurally strong and durable and have been adapted to many different joint variations, many of them very complicated. The timber pergola in the front of The Thoughtful House. They can be used to create huge post-and-beam halls, tiny jewelry boxes and every size in between. Below, a Williamsburg carpenter works on the tenoned legs of a piece of furniture. This antique Chinese chest is assembled with a complicated mortise and tenon system. 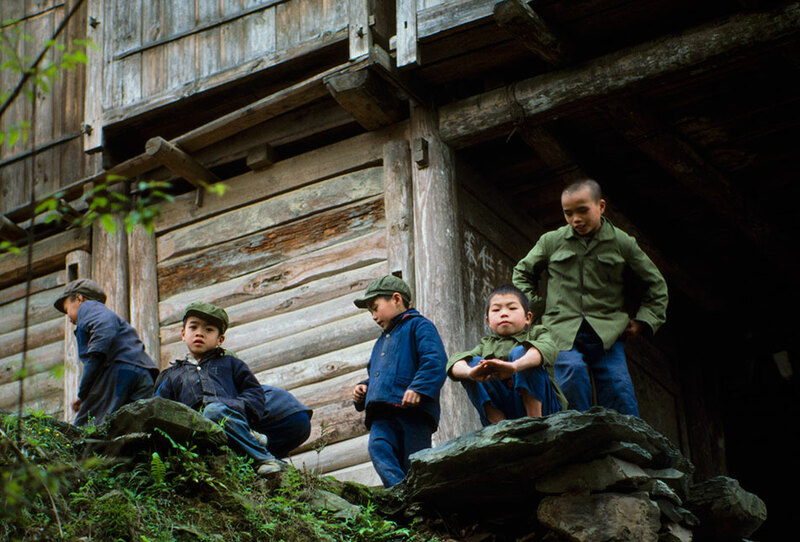 Mortise-and-tenon construction was raised to a fine art form in many countries, but most surviving historical examples were produced by craftsmen who are unknown today. We made sure that doesn't happen to our beams by having the carpenters who built our columns sign and date one of them. 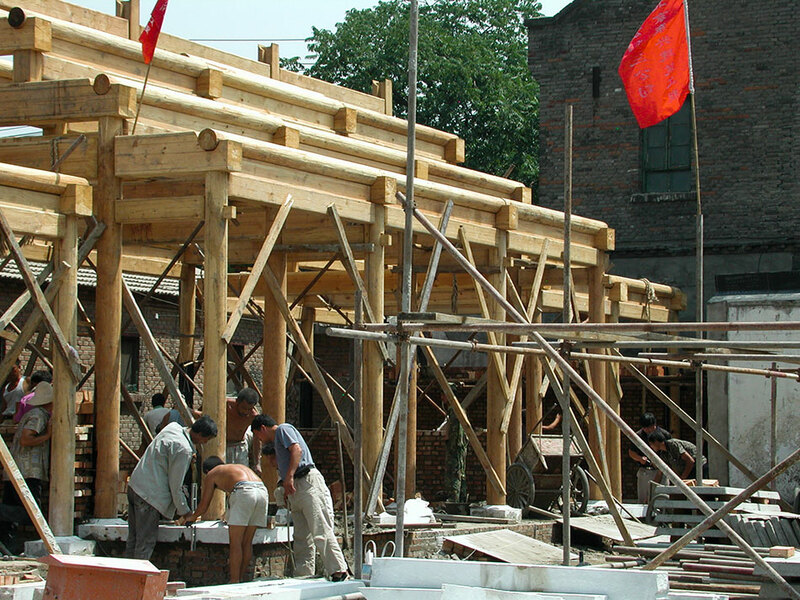 Our interest in mortise-and-tenon construction began in China, where we lived for more than a decade just down the street from the world's finest and largest example of post-and-beam timber construction, the Forbidden City. 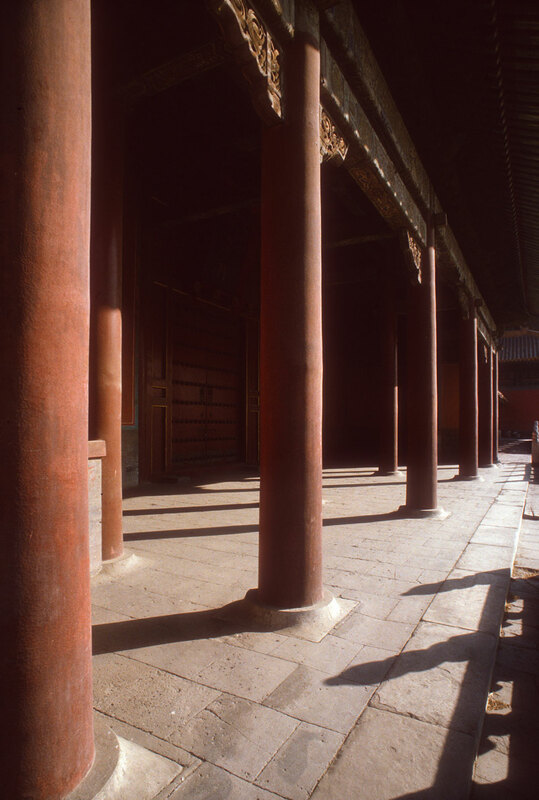 This former imperial palace compound is a labyrinth of exquisite halls and pavilions constructed with complex mortise-and tenon-methods by master craftsmen. 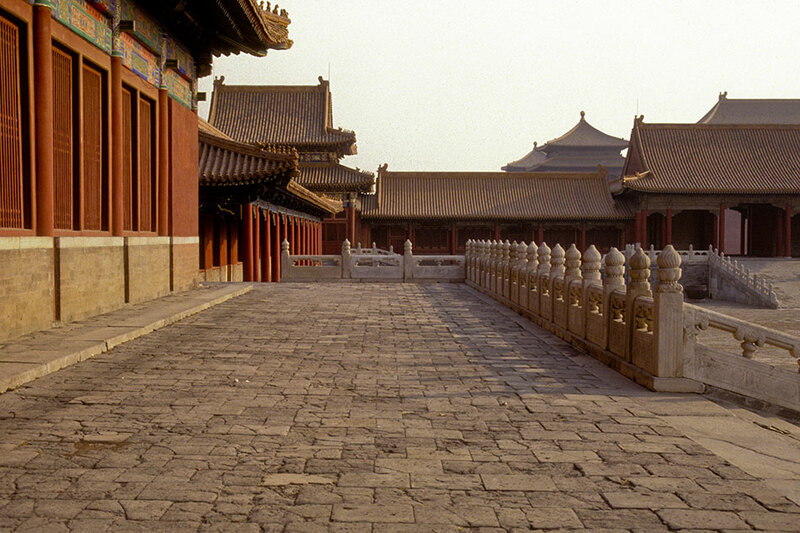 The buildings below in the Forbidden City were constructed with mortise and tenons as was some of the stonework. Today, such construction is done mainly for historical restoration purposes. 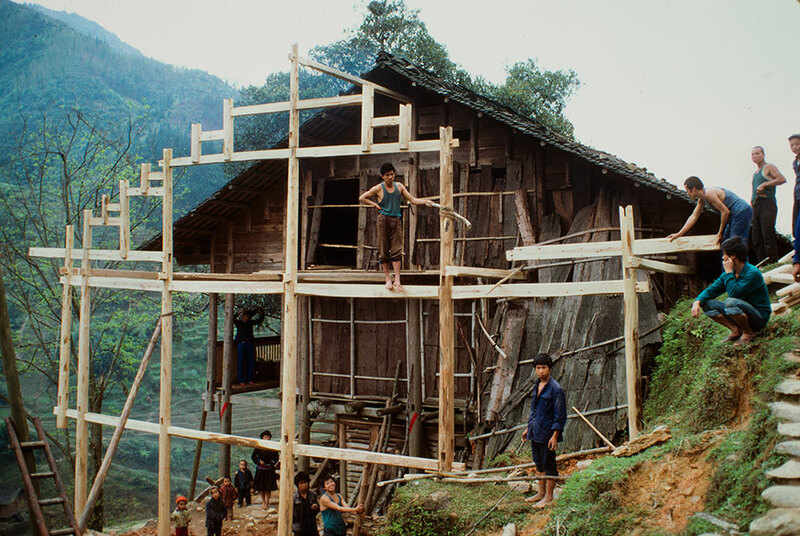 However, in remote mountain villages, it was possible fairly recently to see carpenters building traditional post-and-beam buildings with mortises and tenons. A mortise is a hole or slot, usually in rectangular shape but sometimes round, cut in a piece of wood. A tenon is a tongue carved out of a piece of wood called a rail. The tenon is carefully chiseled out to fit the mortise hole exactly. 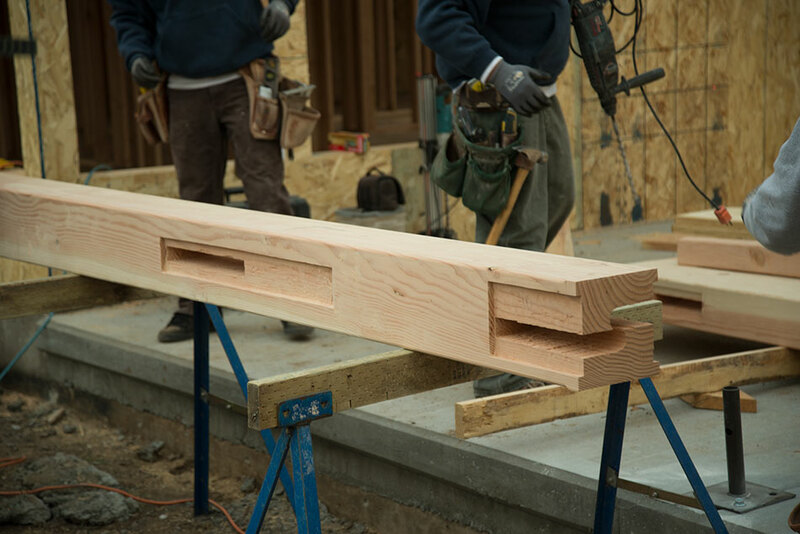 The joint can be glued, pegged or wedged to keep it in place, although shipbuilders, some Chinese and Japanese carpenters and master furniture makers learned to create mortise and tenon joints that fit so securely they didn't need those methods to look them into place. Metal is sometimes combined with wood in mortise and tenon joints. There are a wide variety of mortises. 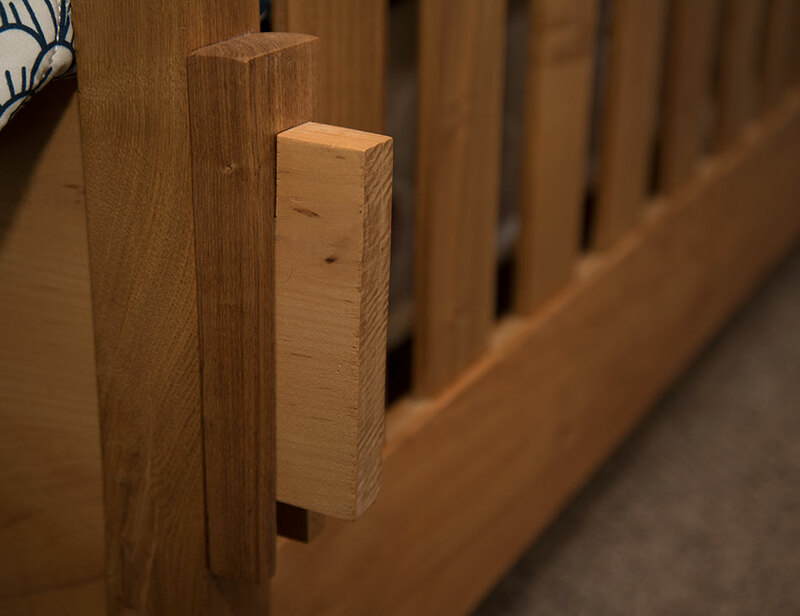 The most basic are open ones which have only three sides, shallow ones which don't go entirely through the piece they are chiseled in, and through mortises that go entirely through a piece of wood and are secured on the other side in a variety of ways. 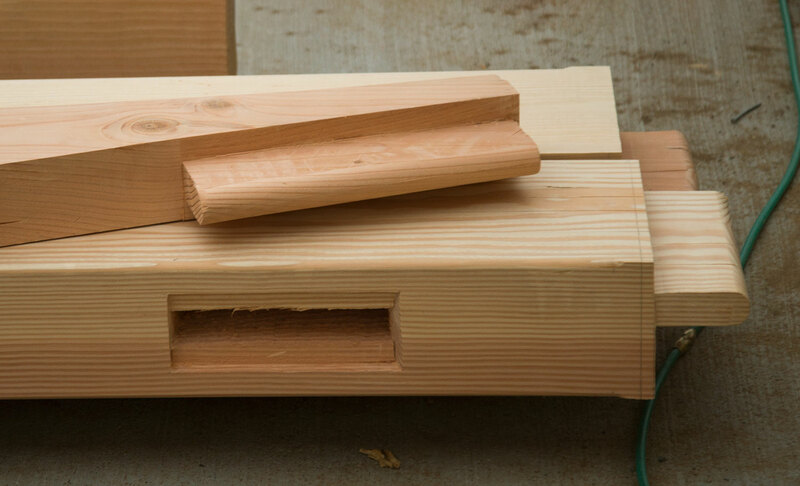 Typically, a tenon projects from the end of a piece of wood and has shoulders on it to stop the wood from going through the mortise beyond a certain point. 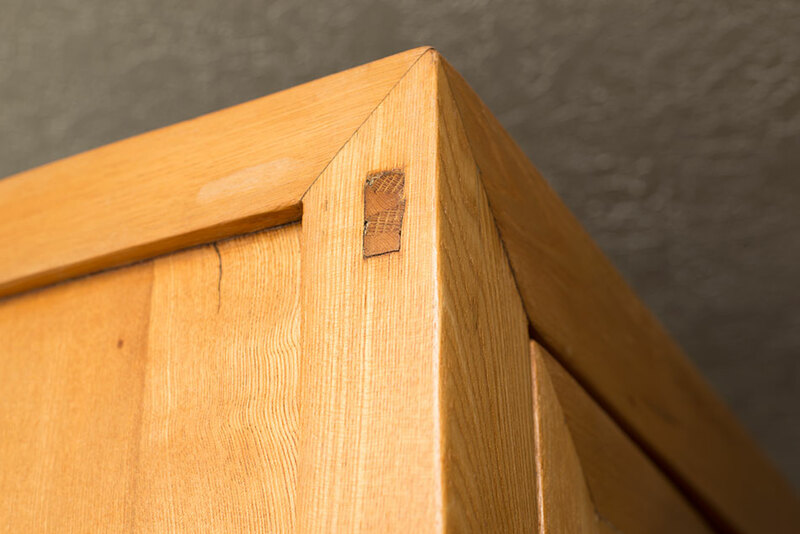 A stub tenon is inserted into a mortise that doesn’t project all the way through a piece of wood and doesn’t show on the opposite side, whereas a through tenon goes through the adjoining piece of wood and is visible on the back side. 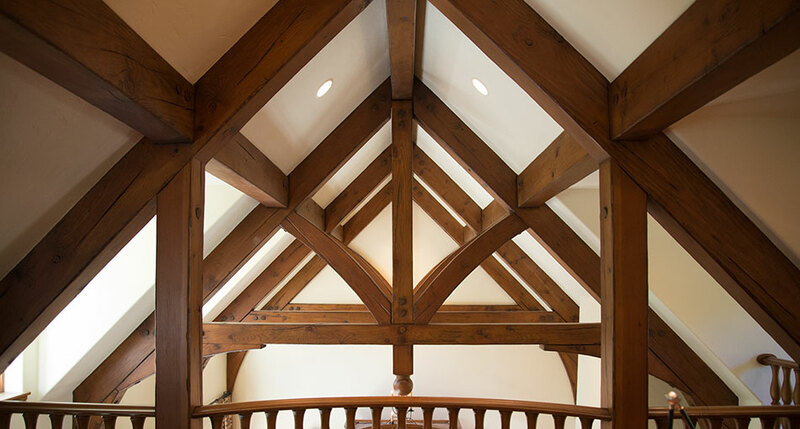 The tenon’s size is usually about a third of the thickness of the timbers. 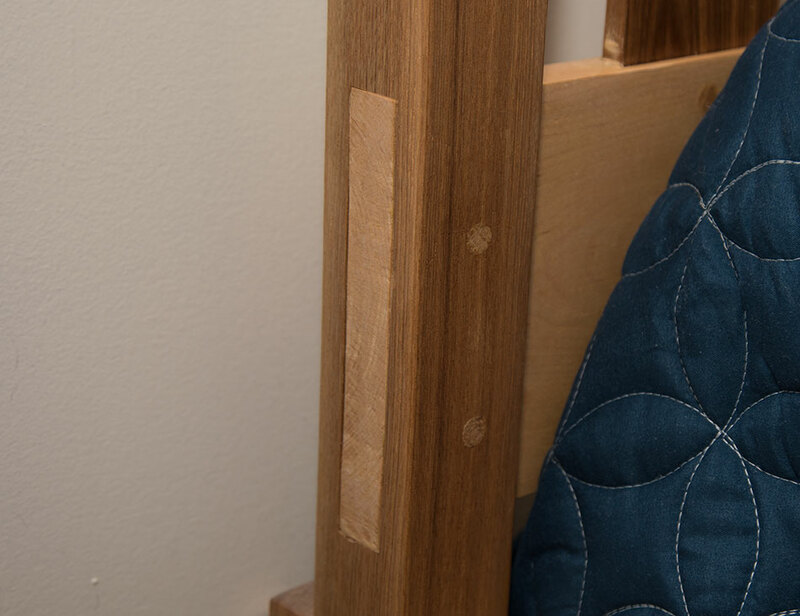 Pegged tenons such as the ones on our columns are made stronger by the driving of a peg or dowel through holes drilled through the mortise piece into the tenon. 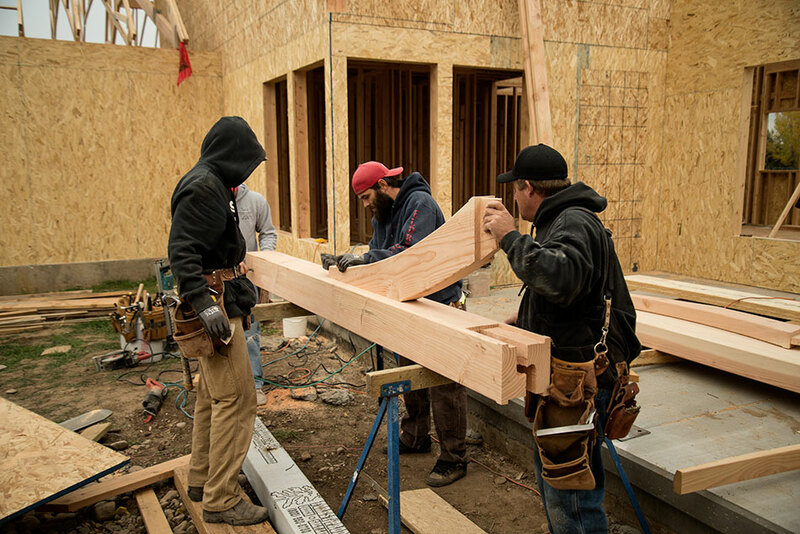 This is a common technique in timber framing. Tenons and mortises have been found in an ancient ship sealed in the Giza pyamid. 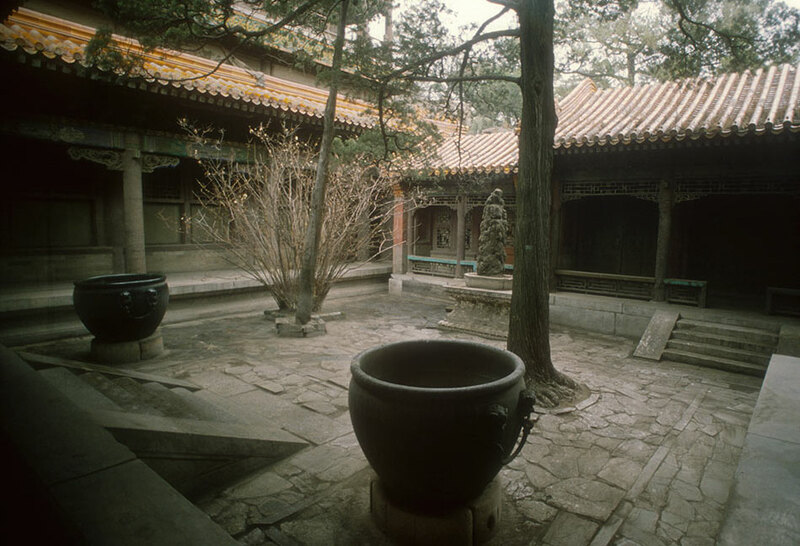 They were used in the lining of water wells in Neolithic times and have been found in ancient furniture in the Middle East, Europe and Asia and along the Silk Road. 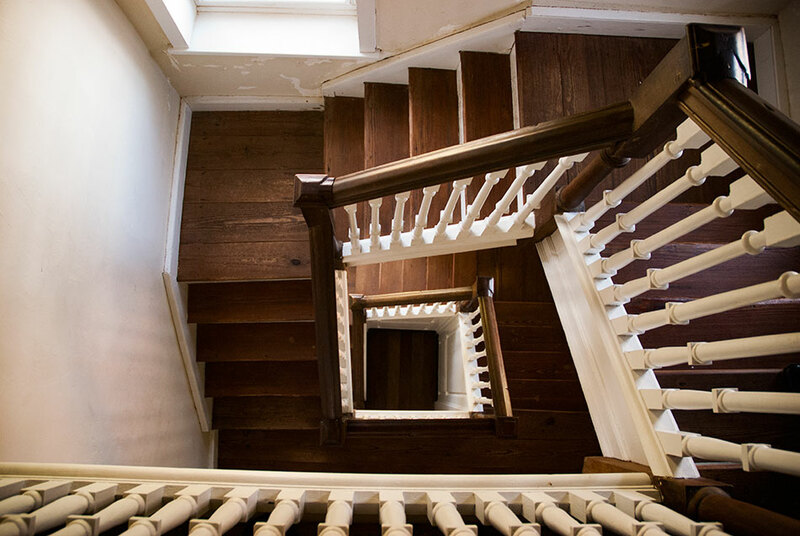 Here is a staircase in one of the oldest houses in the United States, Bacon's Castle in Virginia, that is constructed with mortises and tenons. Here are a couple of our own amateur attempts at mortise-and-tenon construction on furniture.